There is a never ending list of puzzle games that have won an unending admiration by the game lovers and there is again a long list of such games that have made many of the crazy fans, an addict of playing and solving the puzzle. Today, the access of people to such games has been much facilitated by the introduction of Android puzzle games. So, now anyone and everyone who has a simple android phone can enjoy these games that will not only be a fun but also a great help for sharpening the memory and boosting the mental activity that ultimately leads to better learning. Many free Android games come from the same genre. Therefore, here we are going to review, one of the same kind that is named, Make me yellow. What is Make me yellow? 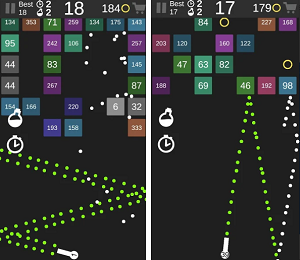 Make me yellow is a free mobile android puzzle game and it is indeed very yellow. The goal is to make the screen yellow in each of the levels and each level, of course, has its own logic. In each level, you will be finding yourself stuck in solving a new set of challenges that will twist up your mind but still do not worry if you really don’t know how to lead? The hint feature is there for you. The control for the game is simple and precise, you don’t need to learn something extraordinary, these are just swiped, tile or tap controls. The thing that is the main point of the game is that to decide which of these controls you have to use in the particular level it depends on your smart mind that how easily it picks the logic for each puzzle level. In addition, there are tons of tasks that are based on physics, math or other logics and as you move, further these levels demand your more concentration, thus improving your mind power to solve complex situations. You can download this game free on your Android Platform devices from the direct download link present below.